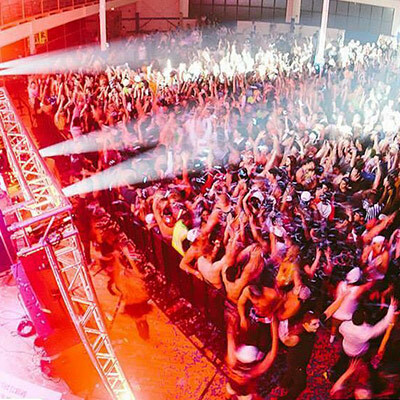 Utah’s number one DJ company for colleges and high schools. When you book us for your next dance, you’re not only bringing in a professional DJ service, but a level of crowd entertainment that is above the industry standard. 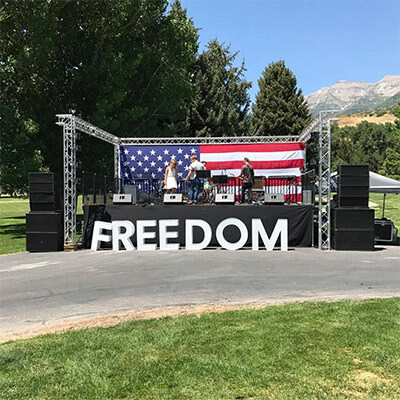 We provide production for a wide variety of events from dances, to live concerts and performances, to community gatherings, corperate events, presentations, to just about anything else. If you need the production then we will bring it. Our DJ’s are guaranteed to exceed your level of expectations for your event. Just leave it to us and the microphone to bring your crowd to their feet. When people ask us what kind of music we play our response is “the kind that the crowd wants to hear.” It’s true, we play all genres of favorites for all types of events. We provide rental services that are guaranteed to be the best bang for your buck. Rental services are available 7 days a week with or without setup and takedown. 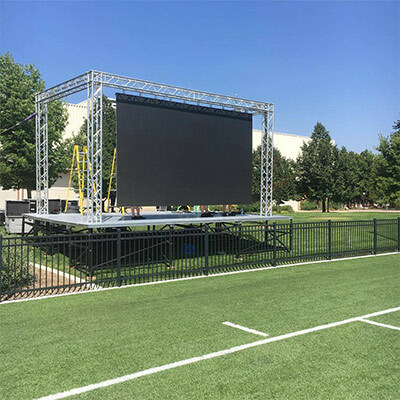 We have a large inventory of equipment available for any type of event. Contact us today for a price you cannot refuse. Event production is a passion at 4FX. We genuinely love every part of the process. From meeting with clients to map out visions, making pre event preparations, to delivering and exceeding expectations day of the event. We pride ourselfs in our work and Love being involved in every aspect! Over the years we have really loved meeting and building friendships with our clients! We thrive on delivering exactly what you the client has envisioned. Nothing is more fulfilling than seeing our clients happy. We love being apart of growth. We have worked with a lot of companies and schools over the years and love seeing and being apart of success. We have had schools tell us that when they use us there numbers double when the students know we are coming. We love working with small business’s and seeing them develop and grow over the years! Our goal is always to help you grow and succeed! I’ve worked with 4FX for the last 5 years and have done dozens of events with them. They impressed me and the very first event and have continued to do so since. We do everything from small intimate events to large-scale concerts with difficult backline and complicated full band setups. (i.e. Macklemore, American Authors, KidInk…) When other parts of the production (none 4FX features) have gone awry, (this has happened on more than one occasion), I’ve seen the 4FX team step up to fix problems that were not theirs but made the event an eventual success. The crew has always been courteous with me and my staff and is always willing to go above and beyond for our events. Marcus is a master with crowd management and is a pleasure to work with off stage. I now work exclusively with 4FX for my production needs. I have dealt with 4FX Productions since 2013, during which time they have provided me with excellent DJ/MC, Sound, Stage and all my entertainment needs. I try and book 4FX anytime that I can, they have traveled across the country for me and always put on a superb show! Their work has been a major factor in our success, helping it to become one of the most Colorful and most entertaining 5k’s in the nation! I can confidently recommend 4FX Productions as a solid and reliable company, and experts in their field. I am writing in reference for Marcus Wing of 4FX Productions. I have had the opportunity to work with Marcus and his crew numerous times this year as I was in charge of the prospective student events on Snow College’s campus. The quality of atmosphere he provides in unmatched. From the staging, to the lights, even the set-up and take down, 4FX productions does it best. The students on this campus will ALWAYS attend if they know that the DJ is Marcus — he hosted our largest event this year. Once you have had him host a dance, everyone else seems irrelevant. The best of the best. Cant wait to work with them again. I couldn’t speak more highly of Marcus and his team at 4FX Productions! My company put on the largest event in our history and we needed experts to help run the visuals, sound, and lighting. This project was very important to us and I didn’t want to rely on the hotel’s recommended AV company. I couldn’t praise Marcus and the team at 4FX Productions enough. They were very professional, on-time, and made our event be a success. Everyone was amazed by all of the work they put in. They also threw a great post party event later that night. My company will only be using 4FX moving forward.